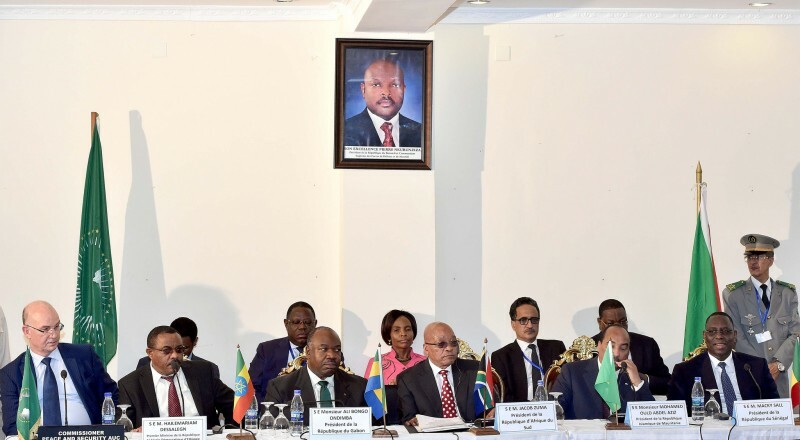 President Jacob Zuma visits Burundi on February 25, 2016. Photo Credit: GovernmentZA. Flickr, CC licence. The National Federation of Associations Engaged in Children’s Welfare in Burundi (FENADEB) reported that another student, 13, had been immediately released because he was a minor under the age of 15. President Pierre Nkurunziza of Burundi. Photo by Eric Miller / World Economic Forum, 2008 Africa Summit, Cape Town, June 3-6 2008. Image via Flicker (CC BY-NC-SA 2.0). Pierre Nkurunziza has been president of Burundi since 2005. In 2015, he was controversially nominated by his party for a third term in office. While the CNDD-FDD downplayed the title, Nkurunziza’s reinforced status as the “eternal supreme guide” has made it difficult for anyone to disagree with his choices, including his move to change the two-term limit enshrined in the country’s constitution. This reflects a centralization of power in the ruling party around Nkurunziza and supporters, and of the party’s control of state institutions. High schoolers in prison for scribbling on a portrait of the President #Nkurunziza. Burundi’s government has become increasingly sensitive to criticism since 2015, after a failed coup, clashes with rebel groups, criticisms of rights abuses, sanctions, economic hardships and a refugee crisis. 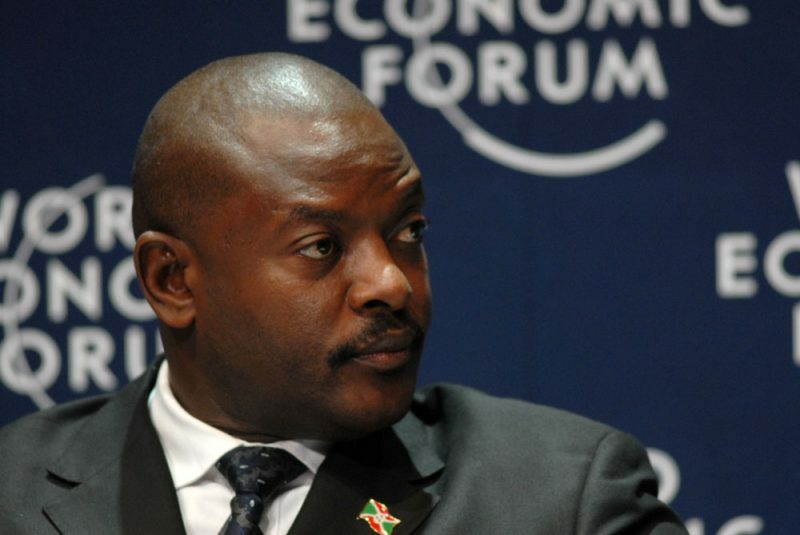 Nkurunziza’s third term bid was opposed by the European Union, and the United Nations, who demanded a restoration of stability before elections. Faced with these challenges, a “siege mentality” hardened and authorities clamped down more harshly on perceived threats. Earlier this month, Burundi closed the United Nations human rights office after 23 years, saying it was no longer needed. The government was incensed with former United Nations High Commissioner for Human Rights, Zeid Ra’ad Al Hussein, who described Nkurunziza’s Burundi as one of the “most prolific slaughterhouses of humans in recent times” in February 2018. Media outlet closures, harassment of opponents, and clampdowns on NGOs and restrictions in political space for alternative narratives and arguments. For example, rights activist Germain Rukiki who documented acts of torture committed by Nkurunziza’s regime was sentenced to 32 years in jail in 2018 for “participation in an insurrectional movement,” “undermining state security” and “rebellion.” Rukiki’s trial was also marred by irregularities and came weeks before the controversial constitutional referendum that allowed Nkurunziza to remain in power until 2034. The “scribbling affair” is also indicative of the government’s increasingly conservative, moralizing approach, including mandatory marriages for cohabiting non-married couples in 2017, clampdowns on prostitution and begging.